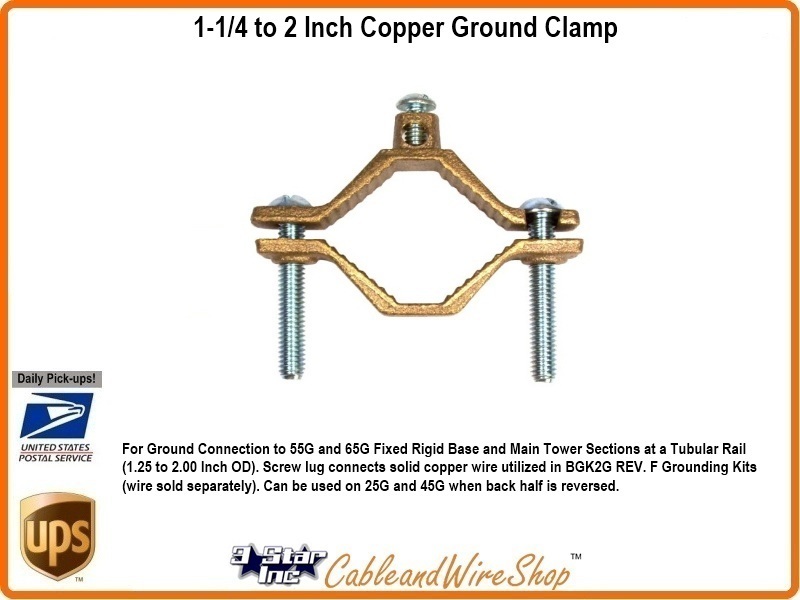 Pipe Clamp (1.25 to 2.00 Inch OD) used for Ground Connection to 55G and 65G Fixed Rigid Base and Main Tower Sections. Can also used on Telescopic masts and 25G 45G. when back half is reversed. Utilized in BGK2G REV. F Grounding Kits (wire sold separately).